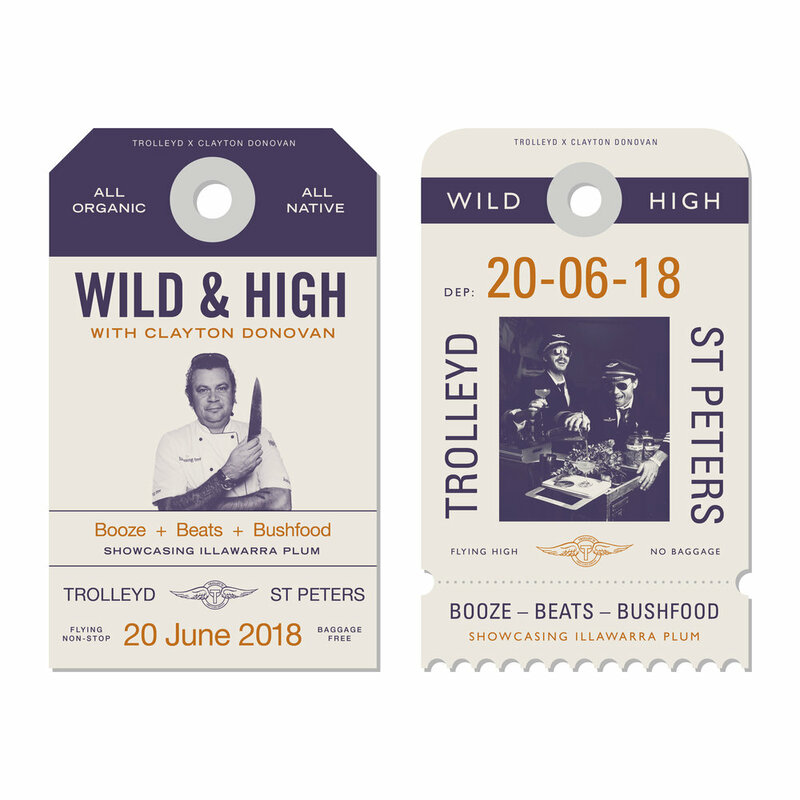 Trolley'd is very excited to be teaming up with Australia’s renowned hatted Indigenous Chef - Clayton Donovan - for an exclusive night of Bush Food, Beats & Booze, to leave your taste buds tantalized, your mind ripened, and your bellies full of native Gumbaynggirr and Bundjalung foods, as well as locally foraged treats. Donovan, recognized for his innovative cuisine, and star of ABC TV show “Wild Kitchen”, closed the doors of his popular Jaaning Tree restaurant to focus his attention specifically on occasions such as this - unique pop-up dinners around our beautiful country. We are so pleased to have nabbed him as he is just as mad about native produce as we are, and there is no-one more perfectly suited for us to partner up with for a food-and-booze pairing in our secret airline themed warehouse location than Mr. Donovan himself! It’s pretty much a match made in heaven, fitting as Clayton has been described as "an evangelist for bush food". This is possibly the biggest event on the bush foodie calendar this year. For us, anyway! If you like all things native, top class food, original drinks and unique party experiences, you’d be silly to miss it. To book your spot, email our team info@trolleyd.com or get in touch with our team via the bookings form on our website. $95 gets you 5 courses by Clayton with paired drinks by Trolley’d using bush tucker and locally foraged ingredients. Guaranteed intellectual dinner conversation around the ethics of food and the importance of keeping it local. Plus much more, but we can’t give too much away… We’re musical folk so the soundscape will not disappoint and will be a collab of both our networks.